New Price! Certified. Bright White Clearcoat 2017 Jeep Grand Cherokee Limited RWD 8-Speed Automatic 3.6L V6 24V VVT Grand Cherokee Limited, 4D Sport Utility, 3.6L V6 24V VVT, 8-Speed Automatic, Black w/Leather Trimmed Bucket Seats, 1-Year SiriusXM Radio Service, 4-Wheel Disc Brakes, 5-Year SiriusXM Traffic Service, 5-Year SiriusXM Travel Link Service, 8.4'' Touchscreen Display, ABS brakes, Air Conditioning, Anti-whiplash front head restraints, Auto-dimming door mirrors, Auto-Dimming Rear-View Mirror, Auto-dimming Rear-View mirror, Automatic temperature control, Brake assist, Bumpers: body-color, Compass, Delay-off headlights, Driver door bin, Driver vanity mirror, Dual front impact airbags, Dual front side impact airbags, Eco Suspension I, Electronic Stability Control, Engine Oil Cooler, For Details Visit DriveUconnect.com, For More Info, Call 800-643-2112, Four wheel independent suspension, Front Center Armrest w/Storage, Front dual zone A/C, Front fog lights, Fully automatic headlights, Garage door transmitter, GPS Antenna Input, GPS Navigation, HD Radio, Heated door mirrors, Heated front seats, Heated rear seats, Heated steering wheel, Illuminated entry, Integrated Voice Command w/Bluetooth, Knee airbag, Leather Shift Knob, Leather Trimmed Bucket Seats, Low tire pressure warning, Memory seat, Navigation System, Occupant sensing airbag, Outside temperature display, Overhead airbag, Overhead console, Passenger door bin, Passenger vanity mirror, Power door mirrors, Power driver seat, Power Liftgate, Power passenger seat, Power steering, Power windows, Radio: Uconnect 3C Nav w/8.4'' Display, Rear Parking Sensors, Rear reading lights, Rear seat center armrest, Rear window defroster, Rear window wiper, Remote keyless entry, Roadside Assistance & 9-1-1 Call, Roof rack: rails only, SiriusXM Satellite Radio, SiriusXM Traffic, SiriusXM Travel Link, Speed control, Speed-Sensitive Wipers, Spoiler, Steering wheel mounted audio controls, Tachometer, Telescoping steering wheel, Tilt steering wheel, Traction control, Trip computer, Turn signal indicator mirrors, Uconnect Access, Variably intermittent wipers, Wheels: 18'' x 8.0'' Tech Gray Aluminum. 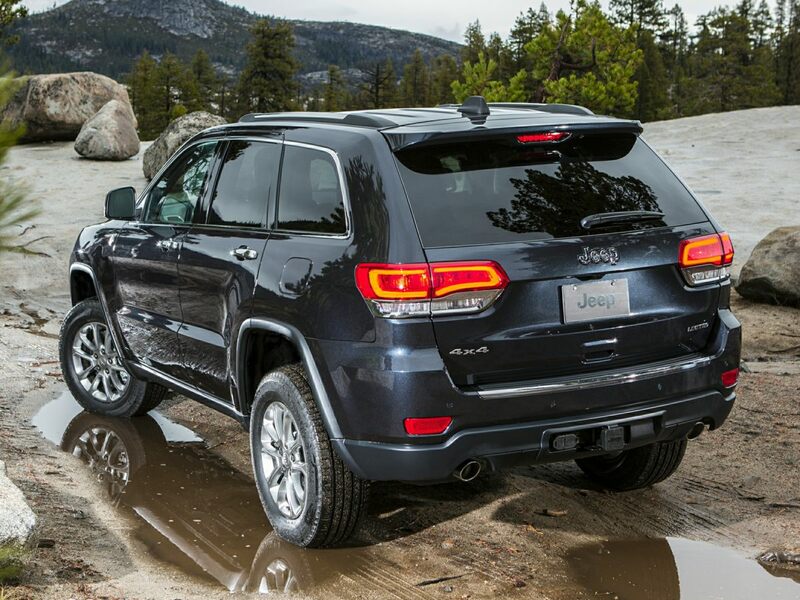 Find a great sale price on this 2017 Jeep Grand Cherokee at Sunroad Automotive in San Diego California. This 2017 Jeep Grand Cherokee is located at our Ford dealership in San Diego. So if you're looking for a great price on this 2017 Jeep Grand Cherokee or just looking to get an auto loan for the vehicle you want... you've come to the right place! Sunroad Automotive.